AP Intermediate 2nd Year Results 2019: Andhra Pradesh Intermediate Second Year Results 2019 announced on 12th April at manabadi, schools9, indiaresults.com. All those students who have appeared for the exam may check AP Inter 2nd Year Results name wise with marks, Senior intermediate results college wise from bieap.gov.in. Manabadi AP Intermediate Results 2019: The Andhra Pradesh board will be declaring the result of the inter 2nd year after the exam is successful held. It would be declared only through the online platform. The results would be available at the official website of the Andhra Pradesh board. A form with the name, roll number, mobile number and other details of the candidates will be shown. The candidate has to fill up the form and the result will be displayed over the screen. The result can even be downloaded and taken a print out. This print of the result will serve any purpose until the hard copy is given by the Board. As many as 10.17 lakh candidates would appear for the Intermediate Examinations which would be held from February 27 to March 18. Intermediate Board secretary B Udaya Lakshmi said that 1,430 examination centres were being allotted across the State, 5,10,000 candidates would appear for first year Intermediate and 5,17,000 candidates would appear for second year Intermediate examinations. The Board of Intermediate Education Andhra Pradesh (BIEAP) has declare the inter results 2019 for first and second year examination on its official website. The Intermediate Public Examination is being conducted since 1978-79 both at the end of 1st year course and at the end of 2nd year course. Earlier the Public Examination was only at the end of 2nd year. The division in which the candidates are placed is decided on the basis of their passing all the papers in the 1st year and in the 2nd year. Inter Board Andhra Pradesh has successfully conducted II year Public exams from 28th February, 2019 to 18th March, 2019. The AP Inter second year final exam result are declared for all MPC, BiPC, CEC, MEC regular and vocational students name wise, colleges wise. Students who have appeared for the Intermediate 2nd year exams can get the AP Intermediate 12th results 2019 from the official website. According to the press release, large number of candidate have seated in the examination hall for their Inter General exams held in march and now they are looking for Ap Inter 2nd Year results Manabadi. Here you can get the AP inter results with percentage and pass marks. Candidates can get their AP 2nd Year Exam Results 2019 online, once the board officially announced. The A.P Second Year Exam Results for session 2018-19 will be published at the website www.bieap.gov.in. For those students who are not satisfied with the AP 2nd year Inter exam result marks can apply for the improvement/betterment/Supplementary exams. BIE AP Inter 2nd Year Results 2019 release date? Candidates can get download their AP Intermediate results March 2019 from official website. Here we are providing the Andhra Pradesh Board Inter 2nd Year Results with Marks Percentage, Grades, Name wise and College wise. You can also check the Senior Intermediate result from manabadi, schools9, indiaresults websites. How to Check Manabadi AP Inter 2nd Year results 2019? 2. 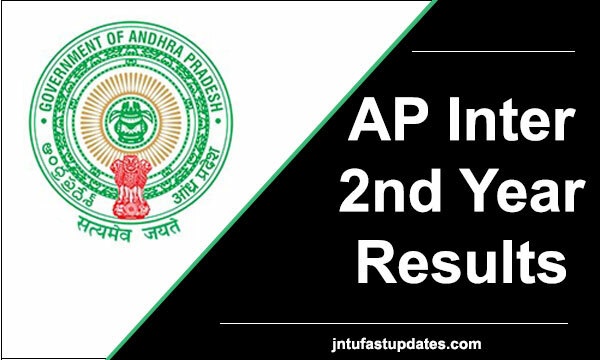 Click on the link “AP Inter 2nd Year Results 2019″. 6. Take the print out “AP IPE Second year Result” for future reference. Even sms notifications are also given to the students who registered for the mobile update of the result. What after inter 2nd Year Exams? After the successful pass in the inter 2nd year, you can plan the future studies. To get admissions in various colleges or institutions, you need to show the result. Remember the print put will not be considered as original. For the final admission, it will be done only when you provide the original result copy from the board. In case any students find the number to be unsatisfactory, then they can opt for re-evaluation of their copies. In that case their copies will be re-checked and given a new result. Here we will Update the Andhra Pradesh Board Senior Intermediate Result 2019 Districts and Cities wise like Guntur, Vijayawada, East godavari, Srikakulam, Vizianagaram, Prakasam, ongole, chirala, nellore, tirupathi, chittor, Nellore, bapatla, Ananthapuram, kurnool, chilakaluripet, narasaraopet, Rajahmundry, kakinada, eluru etc. The name of the board is BIEAP, board of intermediate Education, Andhra Pradesh which was established in 1971. The board was formed to supervise the intermediate education system under strict regulations. Different specific courses are being taught in the state. It is an independent body which has been designated under the Ministry of education. The syllabus and the curriculum is being set by the board itself. Even the schedule of the exam is also being controlled by the board. The annual exam is being every year every year in the month of February and March. Besides the intermediate, it also controls other curriculum of the state too. Wish all the students a very good luck for their results and future. 1.5 How to Check Manabadi AP Inter 2nd Year results 2019? my sister was written inter 2nd year exams recently. she have got less points in one subject.so she wanted to write betterment exam..
How I can get result with mark list.